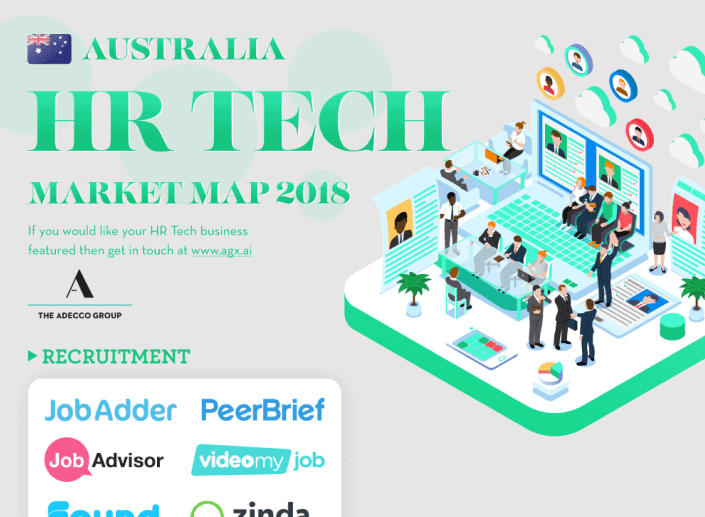 The Australian HR tech market has proven itself to be one of the most vibrant across Asia Pacific. Not surprisingly in a $12bn internal market there is a significant amount of potential for new tech players to disrupt or service existing incumbents. In a world where once Seek reigned supreme from a technology standpoint with its monopoly on APAC job boards, a number of new players are springing up and finding means of connecting candidate to company. With the recent launch of Adecco Group X (the Adecco Group’s digital innovation unit) in Asia Pacific, we undertook a quick market study and identified close to 100 businesses of appropriate stature to still be called Start ups or growth stage businesses. 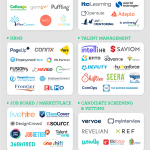 Attached is our market map for Australia 2018 where within you will notice a growing number of players focused on the flexible staffing market – professional or otherwise. And gain access to the hi-res version of the map + receive the latest HR Tech news and updates from me. This also includes a much greater focus on things like pure job sharing which remains somewhat of an anomaly in contrast to several of the other regions. Retention and engagement along with onboarding also feature prominently with a number of players who are now expanding internationally. We are beginning to see signs of the Australian ecosystem producing some homegrown champions and unicorn prospects. Overall, there is no doubt that the market is just warming up in Australia, with Sydney taking the lead on Melbourne in sheer number of startups at present, however if there are any HR / Rec Tech Australian founded businesses that you think have been missed then please do not hesitate to contact us via www.agx.ai. This is a blog post by Daniel Callaghan. He is currently the head of Adecco Group’s digital innovation and investment unit (AGX) in APAC. Daniel is focused on engaging with leading HR / Rec Tech solutions across 12 markets including India, China, Australia and Japan to help accelerate their expansion through use of the Adecco network and brands.